This 1948 Chevy Fleetline radio has been converted to AM/FM with Ipod input. It has four speaker outputs with each rated at 45 watts of true power. It now runs on 12 volts, negative ground. 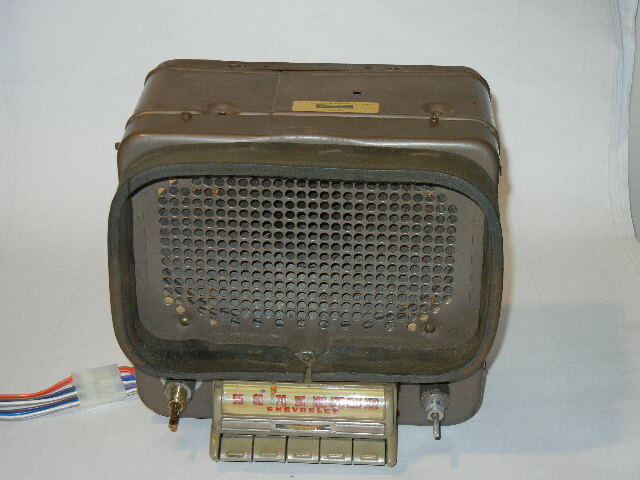 As was common for radios of that decade, the tone control was not continuously variable as in modern radios, but a switch for 'music', 'voice', etc. To give the owner better control, a modern tone control was added on the bottom of the radio, out of sight. The former tone control is now used to switch from AM to FM.